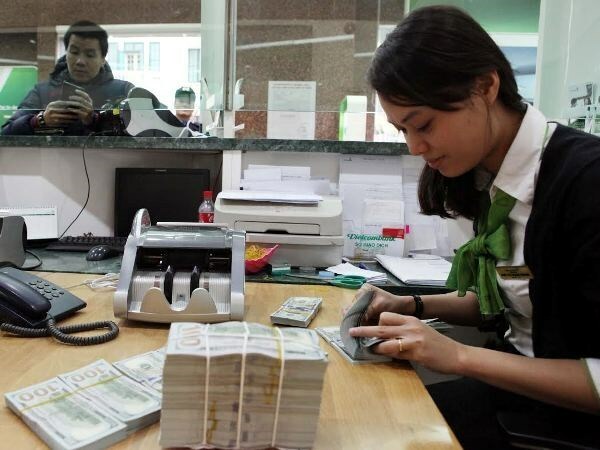 Hanoi (VNA) – The State Bank of Vietnam (SBV) set the daily reference exchange rate at 22,976 VND per USD on April 2, unchanged as compared to the previous day (April 1). Vietcombank listed the buying rate at 23,155 VND/USD and the selling rate at 23,250 VND/USD, unchanged from April 1. BIDV also kept their both rates unchanged from the previous day, listing at 23,150 VND/USD (buying) and 23,250 VND/USD (selling).